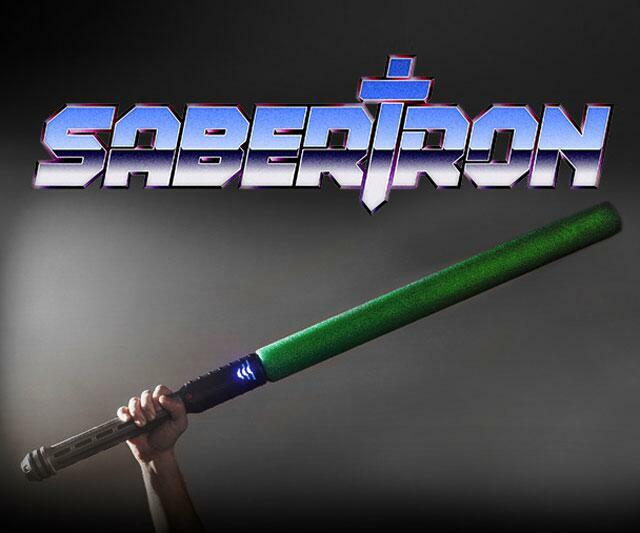 You can think of Sabertron as laser tag with swords. Or sword fighting with more of an indication of who won than the guy who gets stabbed first, bleeds the most, or dies. 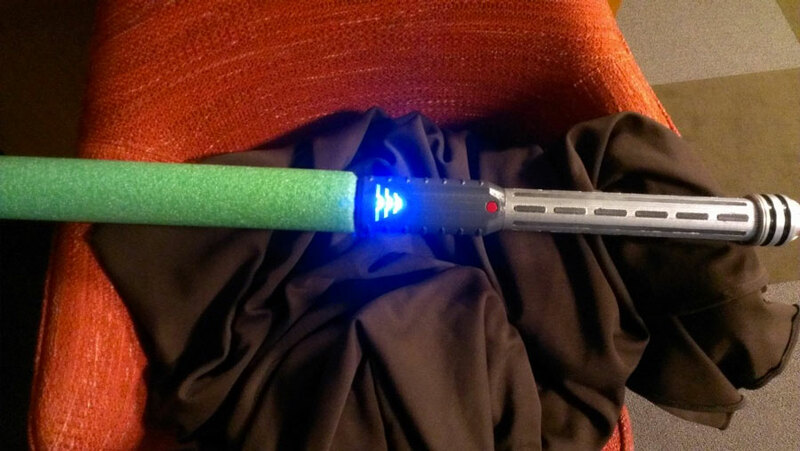 The game of foam sword dueling has a series of LED strips built into the front and back of its weapons' handles that electronically keep track of "player health" and determine when death's final blow has been dealt. Created by a group of sword and saber enthusiasts who wondered, "How is this not a thing yet?" Sabertrons are made of foam-covered polycarbonate plastic cores and plastic electronic hilts. They come programmed with 5 different game modes and a scoring system engineered to detect and deduct health LEDs only for legit hits to the body (i.e., not sword-to-sword contact). Sabertron mechanical bits include an accelerometer to identify when the sword has impacted another object paired with a wireless communication board to distinguish whether that object is more foam or a human body. One-hit-to-win-it. 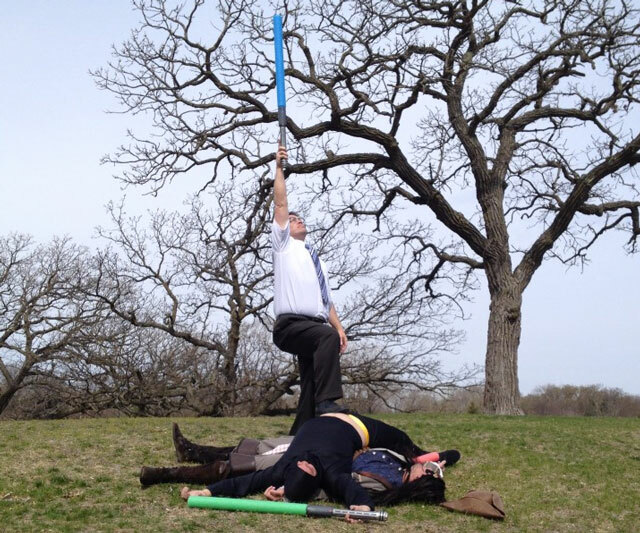 One successful blow = One LARP Winner & Slave Master for the Day. Countdown. Three successful hits are required for victory. Metered Damage. The stronger the blow, the more the health meter depletes. Eternal Struggle. Players can earn health hashes back by accruing a certain number of blocks. Hopeless. Earn even more health hashes back with successful blocks. Sabertron swords sell as 3 different models. The Apprentice Series is equipped with everything needed to start battling, primarily all 5 game modes and the integrated health meter. Color options are also available. Building on that base, the Master Series adds illumination to Sabertron blades, plus a rechargeable battery. The Grandmaster Series also incorporates and LCD touchscreen and personalization, with the buyer's name inscribed on his or her sword's handle. Grandmaster Sabertrons also employ Bluetooth to connect to a smartphone app for tracking fighting stats and game upgrades that Sabertron will release over time. Sabertron runs as a Kickstarter campaign through June 14, 2014. The Saberdudes aim to beat their target delivery date of November 2014, and get Sabertrons in the hands of parents and gift-givers in plenty of time for the 2014 holiday season. The Saberton is a top Dude Gift for a Geek and Gift for a Teen pick.